It seems like people can’t get enough of podcasts. Podcasts are consumed by 73 million Americans every month (eMarketer, 2018) — and this number is set to exceed a staggering 100 million by 2021 (Statista). Podcasts are popular because they are engaging, inspiring and often useful. And quite often, people listen to podcasts while they are doing a primary activity that isn’t mentally demanding. Podcasts allow you to “be with” your customers while they are commuting to work in heavy traffic, halfheartedly working out at the gym, or working their way through an Ottolenghi chicken recipe in the kitchen (don’t forget the sumac!). The enduring popularity of podcasts combined with their predicted exponential growth presents many opportunities for marketers. The phrase “content is king” is used freely in the marketing world, resulting in businesses churning out high volumes of written content as part of their marketing strategy. After all, distributing valuable, relevant and consistent content is the universally accepted gateway to attracting a clearly defined audience and driving measurable customer action. But while written content is essential, producing it can be time-consuming. The introduction of podcasts to the marketing mix means that businesses can still deliver high-quality content that is relevant, but without the same effort and resources that writing demands. Essentially, the objective of a podcast marketing strategy is to build brand awareness, authority, and trust among listeners. The best bit? There’s no need to stress over matters such as Oxford commas and semicolon usage. Due to the intimate nature of audio, users are more likely to develop a relationship with a podcast host than with a writer. This is great if you’re a marketer — your audience is more likely to engage with your brand on a more personal level. You can take advantage of this by using emotion to build on that connection — inflection and tone of the spoken word can provide emotion in a way that written copy cannot do. Reading an article is easy: all you need to do is click on the link and off you go. Subscribing to a podcast requires a bit more effort, so when a user subscribes to your podcast, you know they’re interested in what you have to say. A subscriber is someone who is already engaged with your brand — and an engaged customer is one that is more likely to buy and be loyal. Media libraries such as iTunes are obvious places to source podcasts. Users can also find their favorite podcasts on podcast directories and sites that provide podcast recommendations. These resources are useful marketing distribution channels and they can also be used to improve SEO via additional inbound links. So, why aren’t more businesses signing up for podcast marketing? Despite the increasing popularity of podcasting, many businesses are still reluctant to invest. 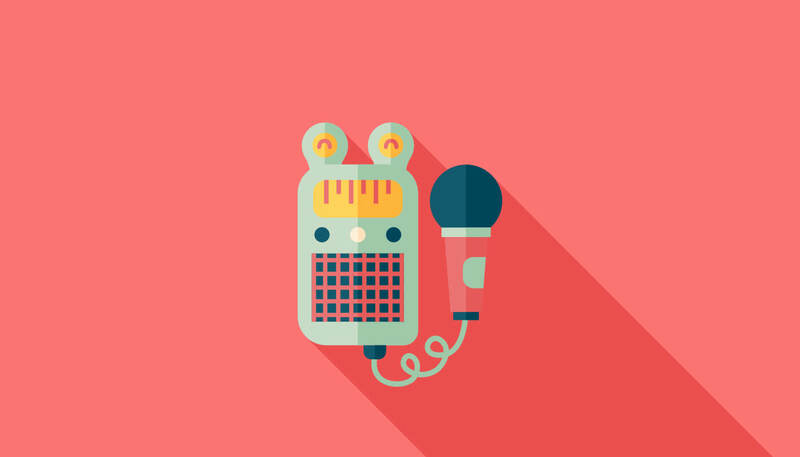 Because podcast marketing is relatively new, marketers don’t know how to best measure ROI. For many, it’s safer to stick to tried and tested channels within the traditional marketing mix. In saying that, brave marketers recognize the countless opportunities to take advantage of this situation. Tapping into podcast marketing before the area becomes saturated is a great way to reach customers before your competitors (eventually) do. As podcast marketing continues to grow, so too will the evolution of analytics. If you’re keen to dip your toes into podcast marketing today, there are still ways to gauge success. You can switch on web tracking to see how many times your podcast has been downloaded, or monitor referrals from iTunes or podcast recommendation sites. You can also apply a segmentation tool such as Segment to gather customer data which can then be used to create more personalized content. You can then use an analytics tool like Heap to aggregate, organize and analyze all your data in one place. Feeding the data sets into marketing automation software such as Autopilot will then help you create personalized customer journeys. Finally, we found a great list of Marketing podcasts that everyone can learn from. Enjoy!